First of all, the traditional. 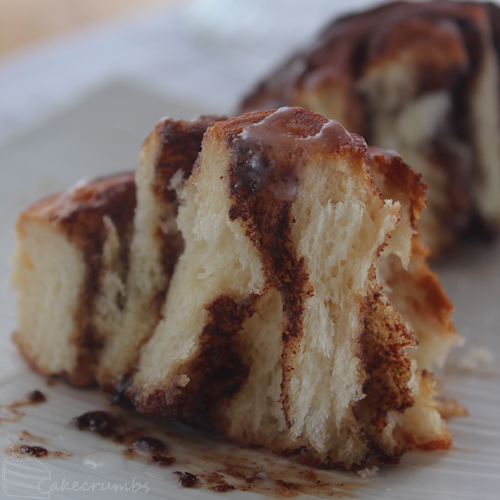 A cinnamon scroll. Not gonna lie, I could eat one of these every day of the week. 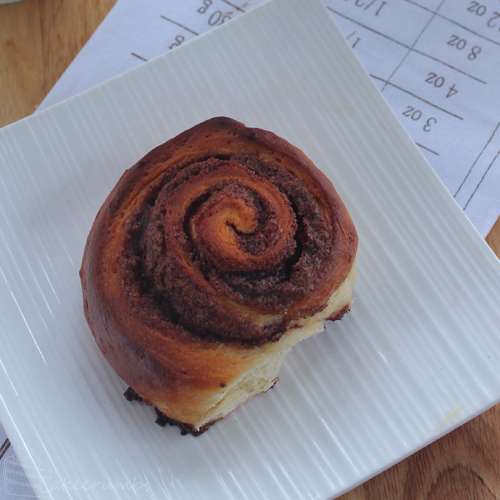 There’s nothing quite like a home made cinnamon scroll. 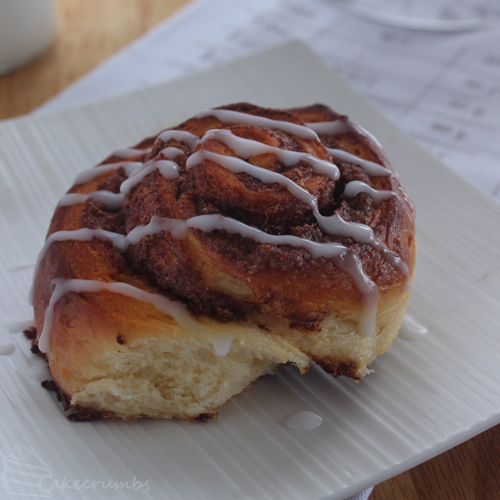 And besides, while I’ve posted cinnamon twists and knots, I’ve never blogged about the basic bun. 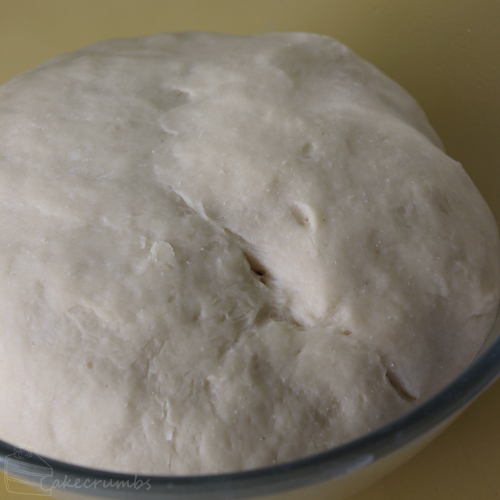 It starts off with a very basic dough. The only dissatisfying thing about baking bread is the agonisingly long time you have to wait. This one takes 2 hours for the first proof, so plan to hang around the kitchen waiting a while. Once the first rise is over we roll out the dough into a long rectangle(ish) shape. Rolling out things into a neat shape is certainly a skill I’ve never acquired. The it’s time for the filling. For this I’m using a basic brown sugar and cinnamon mixture I use for just about everything cinnamonny. Then it’s time to roll it up and cut the scrolls. Now, everyone has a preferred method, but this is the one I have found to be fool proof. It’s essentially the same way I layer my cakes. First I mark the roll every 4cm down its length. Then I take my piece of string and wrap it around the log. All you have to do it pull it tight (as if tying a knot) and the string will slice through the dough. The log itself will barely move it’s that smooth a process (great for rolls with squooshy fillings). 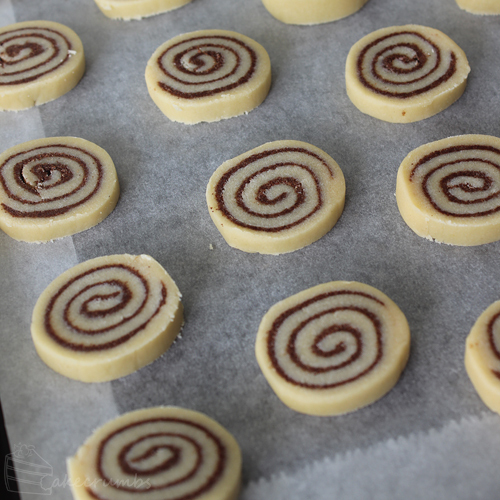 Pop them on the tray for a second rise, then it’s time to bake. The smell of these scrolls baking is maddeningly divine. For the last 15 minutes of the bake the smell drew out my sister and my partner out, who then spent that time basically circling the kitchen asking if they were ready yet. The hardest part was getting them to leave some so I could take pictures the next morning. I will admit that exercising my own restraint was almost as challenging. Now, these buns are pretty sweet so I’m not into glazing them. But if you want it by all means go for it. I drizzled a little icing here made from icing sugar and lemon juice mostly for effect. The next day they were still fresh and yummy, but they do become slightly dense after cooling completely. 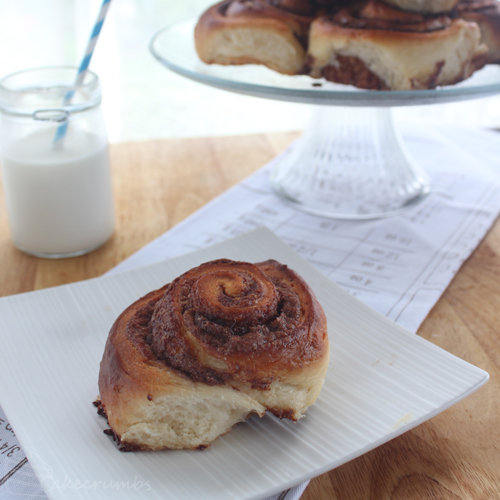 Easy settled by throwing them back in the oven or microwave to reheat, which brings back that gorgeous stringy pull-apart texture I so love in a cinnamon bun. For the next bake I decided to go as far away from the traditional as possible. I toyed with the idea of different flavour combinations, but when I hit the part about biscuit doughs being allowed I just had to hit the cookie path. 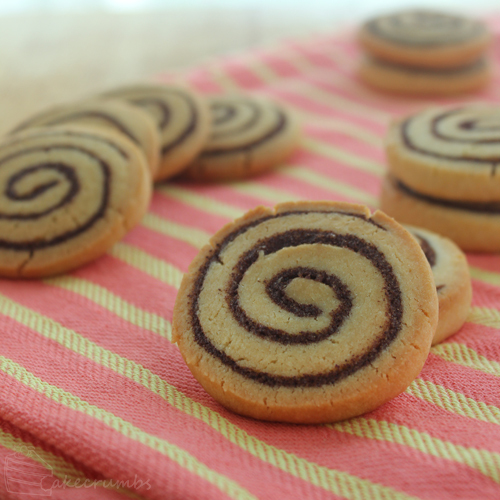 These are very similar to swirl cookies I’ve made previously, but with a cinnabun twist. In this case we’re only making the vanilla dough. I made a whole batch of vanilla, but feel free to just do the half if you don;t want piles of cookies. 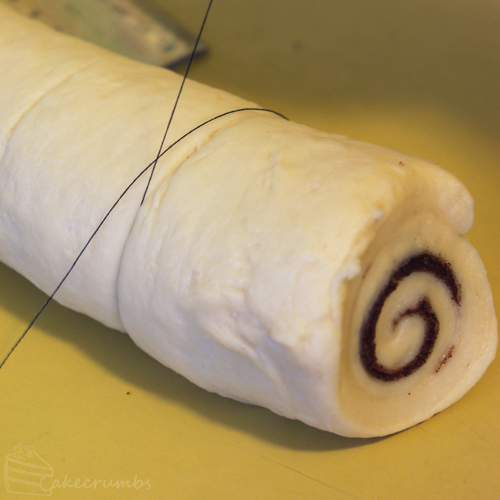 Much like the cinnabuns we roll the dough out into a rectangle. 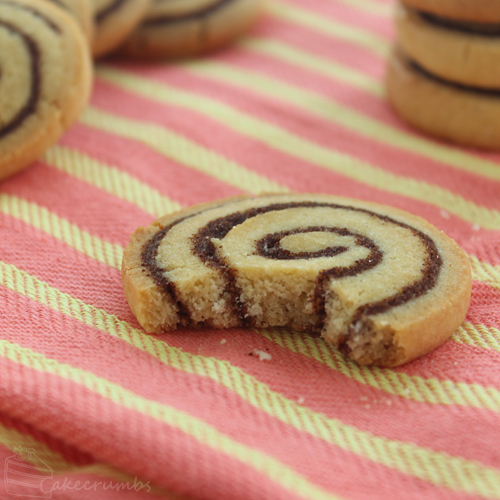 I trimmed one edge just because you want a nice flat edge to get a really smooth swirl through the cookie. Before rolling, spread the cinnamon sugar mixture all over, much like with the cinnabuns. But in this case you’ll want to be a bit more pedantic about making it as even as possible, making sure it gets as close to the edge. 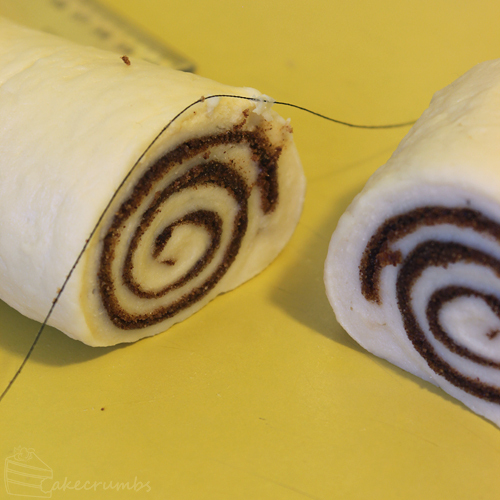 I ended up tripping it again on the smae side to make sure the cinnamon was properly touching the centre. Then you only have to roll it up and chill it for a while. All that’s left to do it to cut it and bake! Now, normally I am a huge lover of cookies straight out of the oven. My it must be said that these vastly improve with age. At first they tasted fairly mild and I was unconvinced about how successful the bake was. But after a day the cinnamon flavour had really infused throughout the cookie and they were absolutely addictive! In a large bowl combine sugar, salt, and butter; cream until light and fluffy, then beat in egg, lemon rind and vanilla. Line a baking tray with baking paper. Mix the butter, cinnamon and brown sugar together. 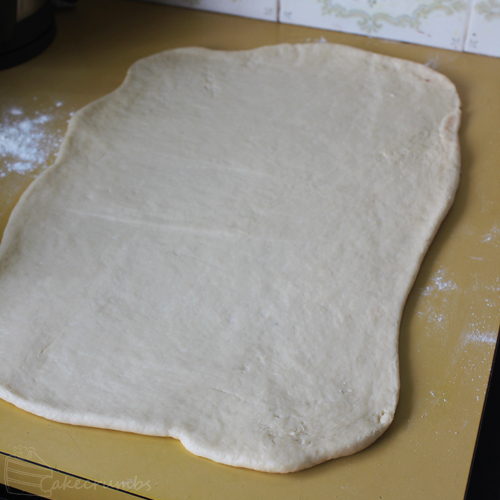 Roll out the dough into a large rectangle shape around 1-2cm thick. 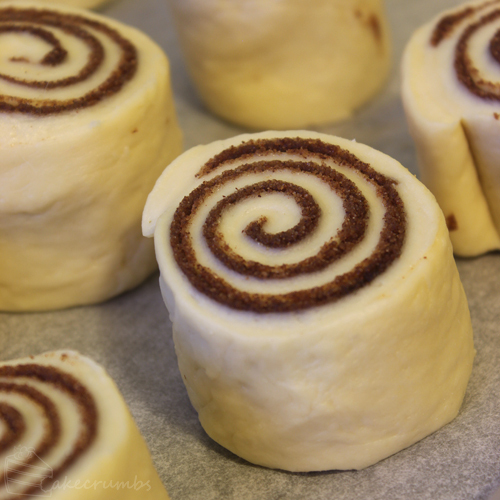 Spread cinnamon mixture over surface, then roll dough up into a log from its longest side. Cut the log into 4cm lengths, then place on the baking tray 2 cm apart. Cover and allow to rise again for 30 minutes. After that time the scrolls should be touching. Bake the scrolls for 20-25 minutes, or until well risen and golden brown on the surface. Remove from oven and allow to cool for 10 minutes before serving. 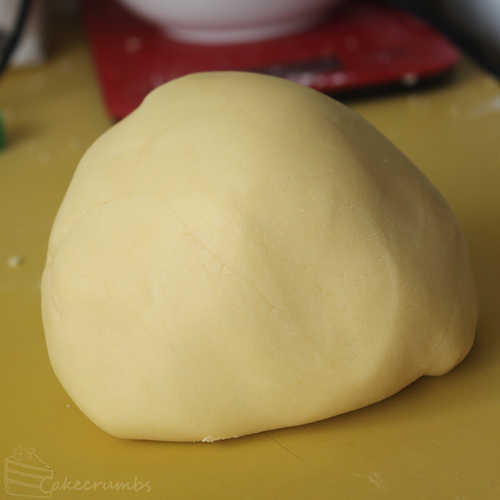 Knead dough separately, on a floured surface until smooth. Cover; refrigerate 30 minutes. 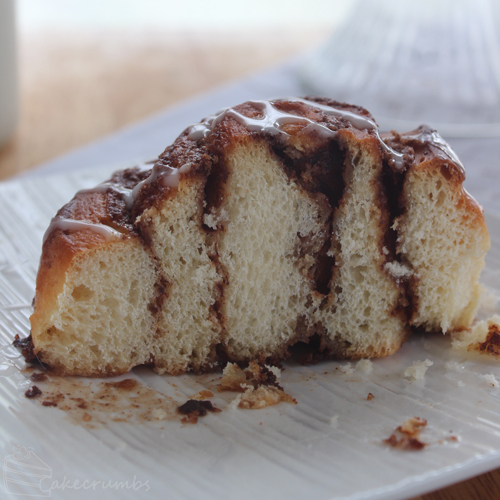 Combine butter, sugar and cinnamon. If mixture is too runny, add a little more sugar and cinnamon until it is of a paste-like consistency. Divide mixture in half. 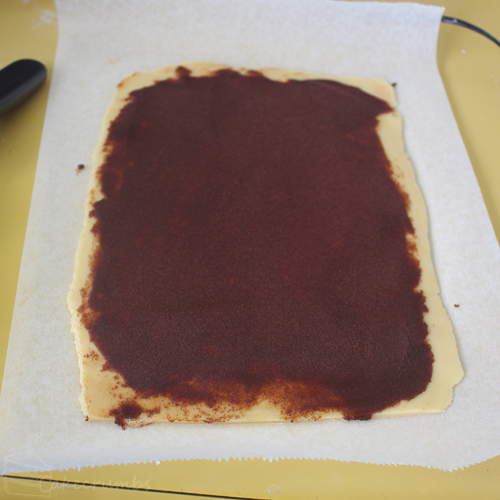 Roll each between two sheets of baking paper into a 25cm x 35cm rectangle; remove top sheets of baking paper from dough and trim one of the shorter ends. 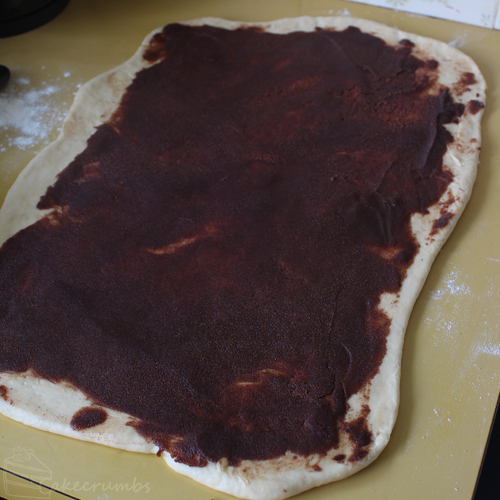 Spread cinnamon mixture evenly over the entire surface of the dough. 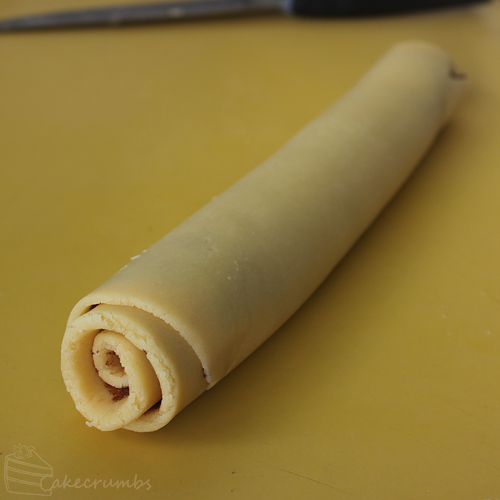 Beginning at the trimmed end, tightly roll up the dough into a long roll. Wrap in plastic wrap and refrigerate fo at least half an hour. Preheat oven to 180°F (160°C fan-forced/350°F). 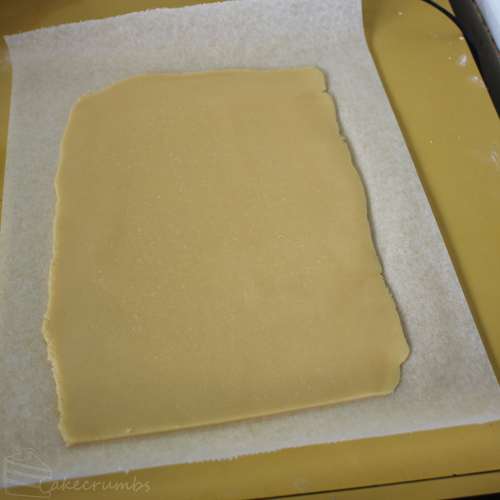 Grease oven trays or line with baking paper. Remove plastic from roll. 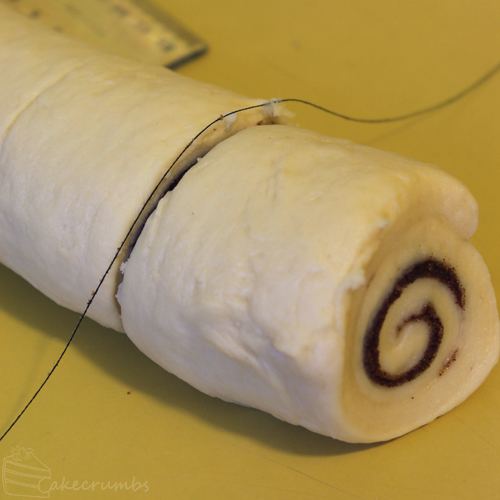 Cut roll into 1cm slices, Place slices about 2cm apart on trays; bake for 10 – 15 minutes. Stand cookies on trays 5 minutes before transferring to wire rack to cool. 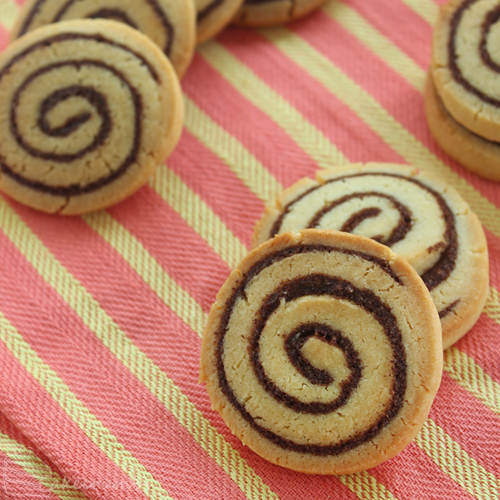 Your scrolls look amazing – such perfect spirals! And I LOVE the cookie idea!!! Thanks so much for baking with me!! Nicelooking rolls, can almost smell them coming out of the oven. A warm bun with cold milk, absolutely delicious. Adding lemonrind to the dough was a new thing to me, have to try it next time. I usually add cardamom instead, about 1-2 tbs freshly crushed seeds ( or saffron at cristmas). Thank you for all your lovely ideas, always an inspiration to read. What a wonderful idea! Will definitely have to try net time. Have also been meaning to try lemonade scones as well. 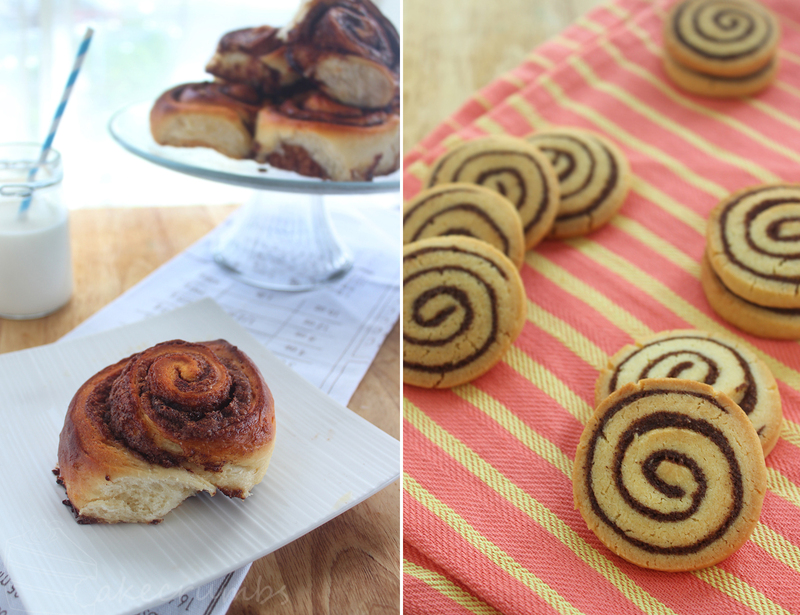 It sounds like such a versatile product in baking — a complete untapped resource for me! Hi Cake Crumbs. I’m not particularly versed on blog land but I recently subscribed to you because you have fantastic looking recipes and great tips. I was looking for a cake recipe for a friend who is a Hawthorn fooy fan. I made your choc banana cake with the ganache. I went a bit further by doubling the recipe and making a square cake. I decorated the top as the goal square and 50m line. I used white candles for the goal posts and found some footy candle decorations. That sounds so wonderful! I’m glad it all went so well for you! Now I want some cinnamon buns.